A few miles away at Derby Theatre, Sarah Brigham, Artistic Director, is about to begin rehearsals for the UK premiere of ‘Solace of the Road’, adapted by Mike Kenny from the novel by Siobhan Dowd. Holly Hogan, the main character, fed up with living in foster care and wanting to find her Mum in Ireland, steals a blonde wig and sets off on her journey. Now with long blonde hair, Holly takes on her alter ego, the older and more confident ‘Solace’. ‘Solace’ is the kind of girl who can face anything and, therefore, so can Holly … apart from the truth about her past. Groups of young people in care, some of which have previously been involved in a weekend residential exploring the text and its themes, eagerly await the opportunity to meet the cast and contribute to the design process. Meanwhile, hundreds of students across the region continue in lessons to explore the script, provided free to schools taking part by Derbyshire County Council, in preparation for their visit to the theatre to see the play. What began 18 months ago as a group of representatives from Derby Theatre, Oxford University Press and Derbyshire County Council, gathered round a table discussing a proposal from experienced teachers and writers Paul Bunyan and Ruth Moore, has become an ambitious and distinctive project that is now impacting on the experiences and education of young people. Increasingly, the need to challenge misunderstandings about groups in our society and the promotion of critical thinking has risen up the government’s agenda with such initiatives as preventing extremism and promoting British Values. It is approaches, however, such as those promoted by the Solace Project that give such initiatives the educational grounding and substance they require, while also responding to the demands to raise standards and outcomes for all young people, particularly in English. While much work has been undertaken in schools about racism, gender issues and inequality and significant amounts of policy and funding has been attributed recently to the education and life chances of the 70,000 children currently in care, little focus has been given to all students’ and teachers’ understanding of this group of young people. It could be argued that the gap in attainment and progress between all students and those in care is as much about this misunderstanding as it is about the targeted interventions and approaches that are required. As Sarah Brigham says in her introduction to the OUP text, ‘The story seems to me both personal and universal. Even if we don’t have experiences of living in care, trying to understand how our past informs our current situation is a dialogue we are all engaged with throughout our lives.’ At the heart of the success of the project lies a powerful piece of literature that can speak to, and for, all young people. At the heart of education must lie learning approaches and educational expectations that speak to and for all young people whatever ‘group’ they belong to. Returning to the classrooms, the students create fictional environments with roles and narratives that simulate life and yet remain a construct which they are able to analyse and question. The students can inhabit this challenging fictional world through the safety of drama conventions explored in the back of the published playscript, which increase their engagement without requiring that they put their own identities at stake. As the playscript reveals the unfolding horror of Holly’s past and the links with Jane Eyre, when Holly leaves all her possessions on a train, the teacher asks for students to be sculpted into the positions the class thinks Holly and Jane Eyre occupy at this point in the play. They hold the still picture, as the teacher asks another student to represent the ‘playwright’ Mike Kenny. She asks the students to ‘Place the Playwright’ in the scene where they think he should be. Other pupils are asked whether they agree with this positioning and then move the represented playwright to where they feel he is most appropriately placed. The students use various criteria for this, including the playwright’s distance from certain characters, the events and what empathy the playwright shows for specific characters. By physically Placing the Playwright, the students question the different roles, aims, intentions and purposes of this writer and the ways in which plays differ from novels. The students, now used to the process engendered through the Drama convention ‘Placing the Writer’, rise to the challenge of Placing the Director (Sarah Brigham) and a robust discussion follows as they debate whether the director is right to interpret the playwright’s script in this way and whether Siobhan Dowd, the original author still has a voice in the final production on the Derby Theatre stage. Integrity is evident throughout the work, as is the sustained time needed for such work to be developed, for without these and an understanding of the drama process, the modelling and development of analytical skills would be impossible. What is important throughout the work is that the use of drama conventions and the employment of the drama discipline enable analysis of the texts and the adaptation process. The students are challenged to visualise difficult concepts and ideas. They also have to model and question the learning processes involved in developing these skills. It is this critical understanding that enables all students to transfer the learning processes and their developed thinking skills to new texts and contexts. This inevitably impacts positively on progress and attainment. 2015 is not just a time for new publications and exciting and unique projects but is the opportune moment to recognise the impact of such partnerships and approaches on students’ learning. Hundreds of students in schools and many young people in care will be engaged with the ‘Solace of the Road’ initiative before, during and after its production at Derby Theatre. The focus on pupils’ progress and the raising of standards in critical thinking and learning skills provided through this initiative model should be a core entitlement for all young people. So where should the national debate on education, including the outcomes for Children in Care and all identified groups continue? How do we draw all the elements explored in this project together on a national scale? Not in the offices of politicians or company directors and leaders of industry, creative or commercial, nor even in the world of university campuses or in the minds of parents, but in the classroom. The debate begins with the pupils’ learning experiences and how the development of critical thinking, understanding, skills and independence empowers all young people to achieve and question. Paul Bunyan is a Drama education consultant with many years of school and local authority experience across all phases. Ruth Moore is a Deputy Headteacher with many years of Leadership and English and Drama teaching experience. 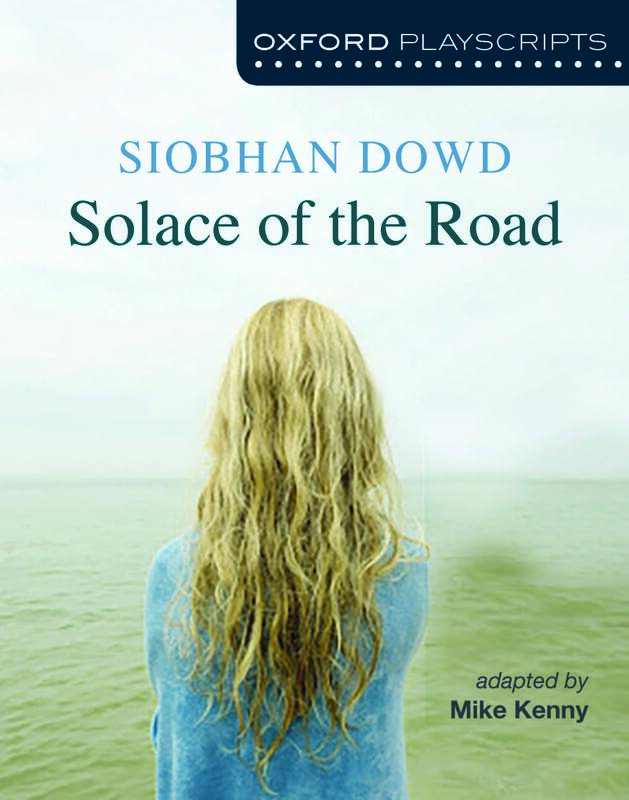 The play ‘Solace of the Road, adapted by Mike Kenny from the novel by Siobhan Dowd, and directed by Sarah Brigham will be performed between February 27th and March 14th 2015 at Derby Theatre.